Basically, scabies is an uncomfortable and popular skin problem, which is caused due to a virus named Sarcoptes Scabiei. This skin problem can be infected through regular contact with patients. 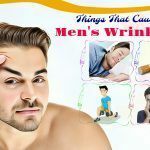 They generally appear on the buttocks, shoulder blades, under the breasts, around the waist, soles of the feet, on the knees, between the fingers, near the elbow, around the genital area, and in the armpits. Symptoms of scabies might consist of rashes, itching, redness, and pain around the infected area. Plus, there can be blisters and swelling. 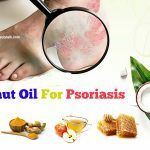 How effective is tea tree oil for scabies treatment with these ways? To relieve the symptoms of scabies, prompt treatment is essential. There are many OTC and prescription medicines for scabies treatment. 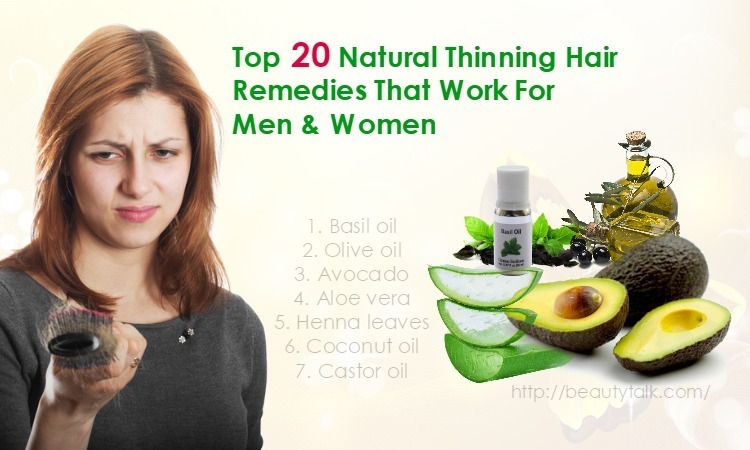 However, you can start treating this problem at home by applying some of these simple-but-effective natural remedies. 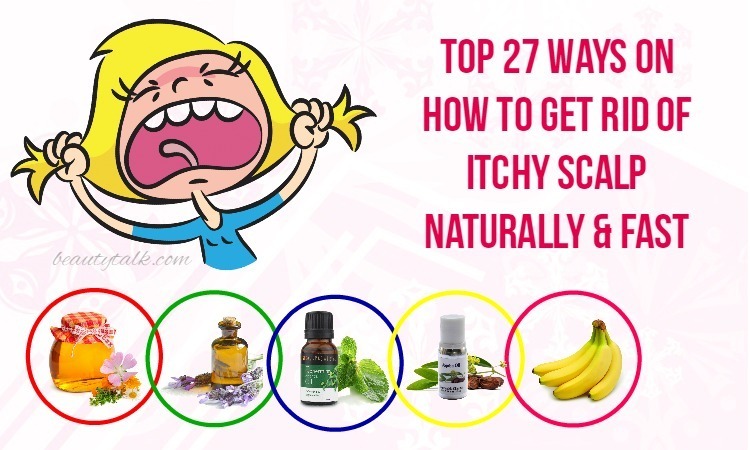 Let’s see top 16 science-based natural home remedies for scabies that work fast on Beauty Talk. Turmeric has been used for centuries in Ayurvedic medicine to cure many health problems such as arthritis, liver problems, ulcers, smallpox, and blood diseases. Turmeric is known for its curcumin  content that possesses antiseptic and anti-inflammatory agents. Thus, it can alleviate the symptoms of scabies. According to a study, turmeric is a very cheap, acceptable and effective treatment for scabies for people in the developing countries . Mix 1 tsp each of neem powder and turmeric together. Later add some water to create a smooth paste. Start dabbing this paste on your affected and leave it to dry on its own. Afterward, wash it off by taking a shower or bath. This remedy should be repeated once daily. Prepare a paste by mixing several drops of lemon juice, 1 tbsp of turmeric powder and water. Then, apply this paste on your affected skin and rinse it off after the duration of an hour with lukewarm water. Follow this remedy once every day until you see significant improvement. Plus, turmeric can be also one of the best home remedies for boils. A review article showed that for centuries, lavender oil has been used for its cosmetic and therapeutic benefits, ameliorating pain, inflammation, and other uncomfortable symptoms . This oil also works as one of the most effective home remedies for scabies. It is helpful for promoting skin cell regeneration and killing parasites such as mites causing scabies. It also comes with soothing effects on your skin, which that can lighten up the painful & distressing symptoms of scabies. Besides, this oil is also a strong antibacterial property that can help prevent infections caused due to different strains of bacteria. 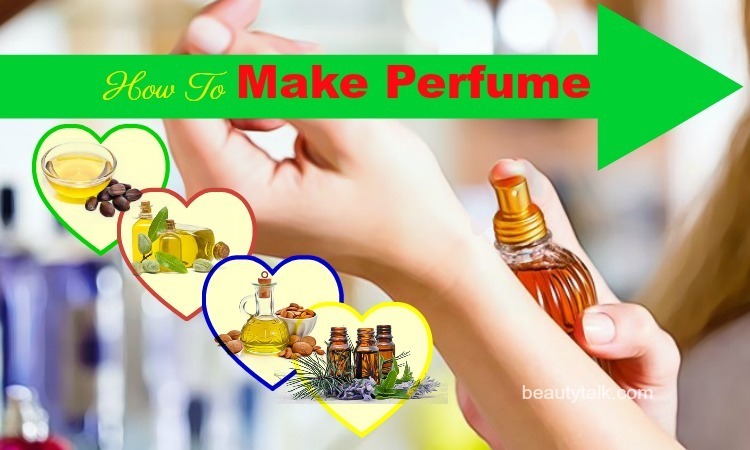 Mix pure lavender oil & rubbing alcohol in equal amounts. Then, you apply this mixture on your affected area and lightly massage it. Do this process twice every day to facilitate the healing process. Take about 5 drops of pure lavender oil and add to your warm bath water. Start soaking in the bath water for a minimum of 15 minutes. This process should be repeated once every day for a couple of weeks. Simply, mix white vinegar and water in equal amounts in a bowl. With the aid of a cotton ball, you apply on your affected skin with the solution. Leave your application on for several minutes and use lukewarm water to rinse it off. To combat the infection totally, repeat the process thrice every day for 10-15 days. According to a study, aloe vera can help the patients overcome many serious health issues, especially skin issues . This plant contains antimicrobial properties as well as many natural medicinal effects, which can boost the healing procedure of scabies, insect bites & other skin conditions. Take some fresh aloe vera gel at first and later apply on your affected skin. After 30 minutes, rinse the area with lukewarm water. It is advised to repeat the method 2-3 times daily for a couple of weeks. Take 1 handful of calendula petals and grind it with 1 pinch of turmeric powder. Then, add aloe vera gel (2 tablespoons) and mix well. After that, apply on your affected skin areas with the paste and let the application dry on its own. The process can be used twice every day for several weeks for complete recovery. Tea tree oil is used widely in many skin and hair care products. Tea tree oil  has the ability to destroy the parasite causing scabies since it contains a compound known as terpinen-4-ol. According to a 2016 study published in the American Journal of Tropical Medicine and Hygiene, tea tree oil can be highly helpful in treating scabies . Furthermore, tea tree oil is rich in the disinfectant, anti-inflammatory, antiseptic, antibacterial, antiparasitic, antifungal and wound-healing agents, which are helpful for treating scabies. Take pure tea tree oil (10 to 12 drops) and add to 1 bathtub of lukewarm water. Then, take a bath in the resultant water twice every day for a couple of weeks. Take 1 tbsp each of olive oil and tea tree oil and mix these oils well. 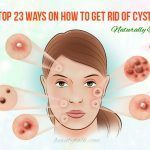 Start applying this solution on your affected area with the aid of a cotton ball. Follow the process two times every day for 2-3 weeks. This process helps to eliminate pain and swelling while boosting the healing process. Note: Nursing mothers & pregnant women should stay away from using tea tree oil. Take a little pure neem oil and apply it directly on your affected part. Then, gently massage it and wait several minutes. Afterward, take a bath. It is suggested to try this method once daily for a few weeks. 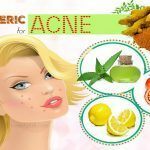 Simply, combine neem oil (2 ounces) with freshly ground turmeric powder (2 ounces) to make an antiseptic cream. Start applying this cream on your affected area 2-3 times per day. The combination of borax and Hydrogen peroxide is one of the most effective home remedies for scabies. Hydrogen peroxide is an antibacterial agent while borax is a natural fungicide and insecticide. As a result, this combination helps to kill the scabies parasite. Hydrogen peroxide can destroy the harmful microorganisms contributing to the infection when applied on the painful lesions. First of all, fill a bathtub with enough lukewarm water. Later mix borax & hydrogen peroxide in a ratio of 2:1. Then, soak the body in this resultant bat for at least 15 minutes. Neem leaves consist of compounds that demonstrate antibacterial, anti-inflammatory, and immunomodulatory agents that can alleviate skin infections. Thanks to their antibacterial and antifungal characteristics, neem leaves are able to treat scabies effectively. Along with that, they also help to decrease itching and clear the mites within several days. It can also neutralize and control harmful microbes, tone down discomfort and swelling, and encourage the immune defense against pathogens. Take some leaves of neem and boil them in 1 cup of water. Leave it to cool to room temperature and afterward, consume 1 tbsp of the liquid 3-4 times per day. Repeat the remedy for 1-2 weeks until scabies and mites are gone completely. Crush 1 handful of fresh neem leaves by using a pestle and mortar. Then, wash your affected area and start applying the neem paste on the area. 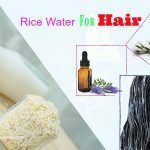 Leave your application to dry naturally and wash the area off by taking a bath. Follow this treatment every day to facilitate the healing process. 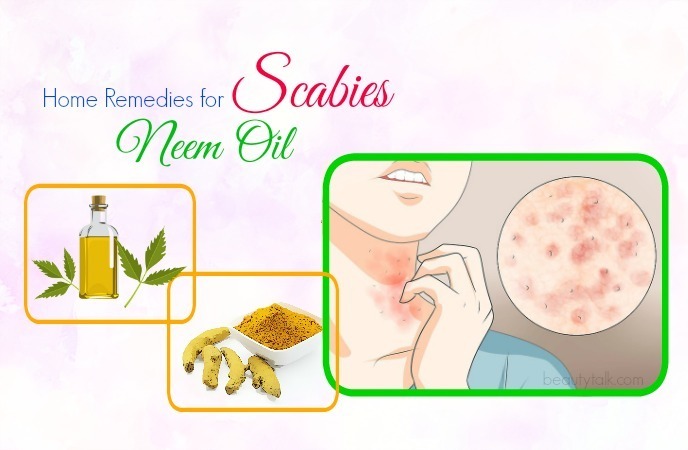 Keep following this post to know more natural home remedies for scabies! Cayenne pepper is beneficial for burning and killing the mites. As a result, it eliminates the problems of scabies. According to a study published in 2011 in the British Journal of Anaesthesia, when used on the skin, cayenne pepper contains a chemical named capsaicin, which helps to soothe pain sensations . 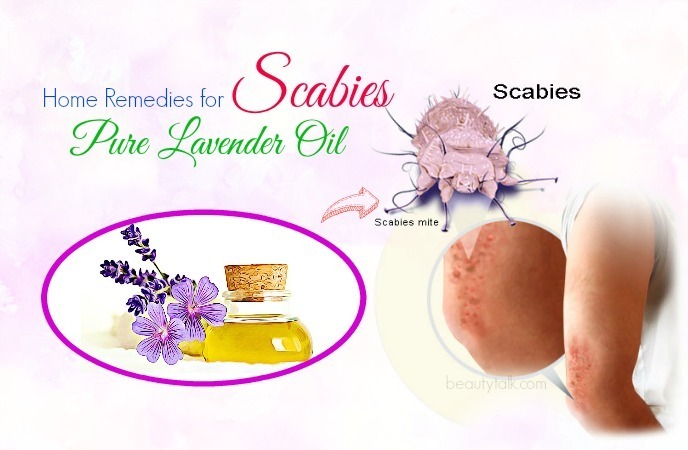 Therefore, this becomes one of the ideal home remedies for scabies. Take 1 cup of cayenne pepper and mix it in hot bath water. Then, simply soak in this bath water and rinse off using cool water afterward. It’s advised to repeat this treatment once daily until the problem of scabies is treated completely. 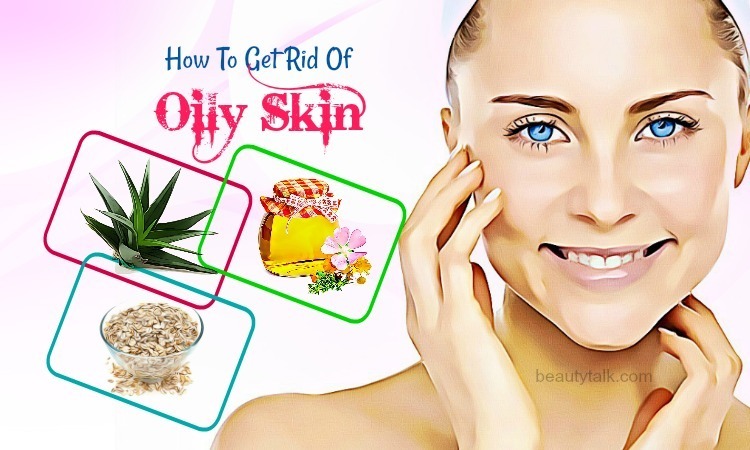 People with sensitive skin should avoid this remedy. Onions contain a substance known as quercetin , which helps to soothe the pains caused due to scabies. Furthermore, onions also come with organosulfur compounds that encourage the healing process of scabies. Take an onion and cut it into small pieces. Later mix these pieces with some salt and start applying this mixture on your affected areas. Follow the remedy twice to thrice per day to notice improvements. Bush tea is rich in flavonoids so that it’s great for skin. Bush tea consists of many anti-inflammatory and anti-carcinogenic qualities, which can help to remove annoying symptoms caused due to scabies. Thus, you don’t skip this remedy when looking for the best home remedies for scabies. Take some bush tea leaves and put them into boiling water. You can also add some honey for taste. Thereafter, drink this mixture two or thrice per day. Zinc plays an important role in metabolizing energy, reducing stress levels, and remaining proper blood sugar levels. Basically, zinc won’t directly treat scabies, but it’ll help to prevent fungal outbreaks and combat secondary skin infections. According to a study published in the Journal of the Royal Army Medical Corps, zinc is a major ingredient used in an herbal ointment for . Besides, it improves the immune system, thus controlling the spread and growth of virus causing scabies. The first step is grinding 2-3 tablets of zinc into a fine powder. The next step is adding a little water to get a thick paste. Now apply the paste on your affected skin and keep the paste on for at least 30 minutes or until it naturally dries. Finally, rinse off by using lukewarm water. It is suggested to repeat once every day until the scabies is gone. Alternatively, it is best to eat zinc rich foods including soybeans, sunflower seeds, whole grain products, and wheat bran. Clove oil composes of many anti-bacterial substances that can fight off scabies efficiently. A recent study indicated that clove oil consists of an active compound named eugenol, which has been proven effective in treating scabies mites . 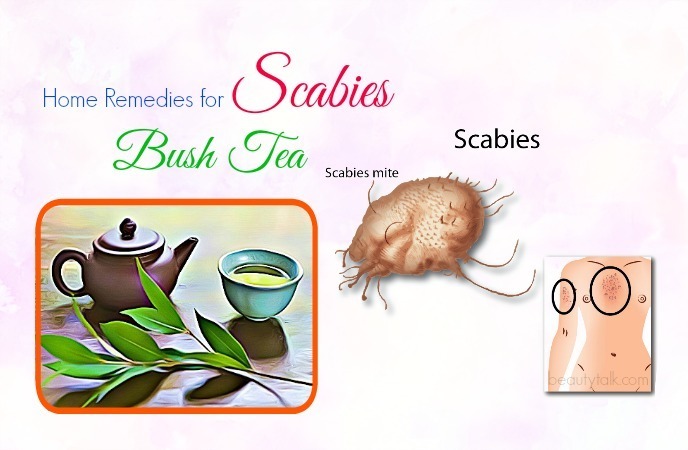 It can also help you in easing the pains caused due to scabies. That is why clove oil becomes one of the best home remedies for scabies. Mix 1 part of olive oil and 4 parts of coconut oil together. Then, use this combination on your affected parts. 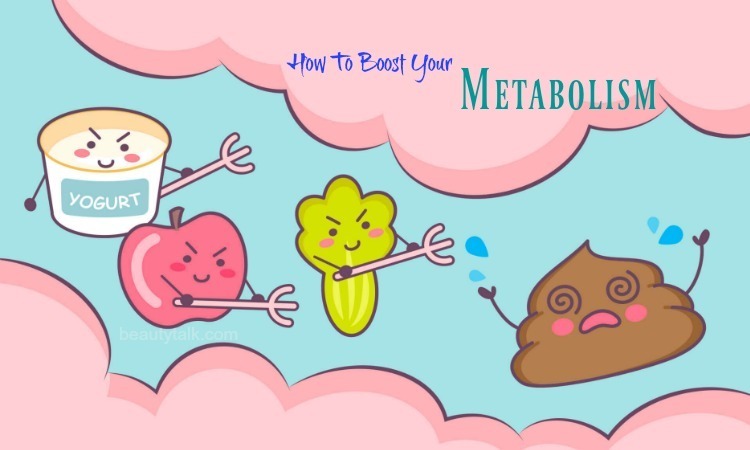 It is suggested to follow the method two to three times per day and after two weeks, you can notice positive results. Rosemary is rich in anti-inflammatory and anti-microbial agents, as well as alpha – pinene and cineole, which give your affected area protection from secondary infection. Additionally, it comes with camphor, which makes the affected part inhospitable for the scabies parasite. Apart from that, it is also effective at boosting the healing process of the skin and easing the irritating sensation. A study in 2007 showed that rosemary combined with clove has significant antimicrobial agents to treat scabies efficiently . The first step is putting rosemary in 1 pot of water and boiling it. Let it cool down for a couple of minutes. Afterward, apply this solution on your affected areas. After several minutes, wash it off. This oil is known for its ability to treat many female-related issues such as premenstrual syndrome, menopausal symptoms including hot flashes, endometriosis and breast pain. Besides, it’s also a great remedy for acne, osteoporosis, rheumatoid arthritis, skin ailments, hair loss and infertility. This oil is rich in anti-microbial, anti-inflammatory and antihelminthic properties, which help to deal with scabies effectively. Thanks to its an analgesic compound named phenylalanine, evening primrose oil can also ease alleviate the discomfort caused due to scabies. 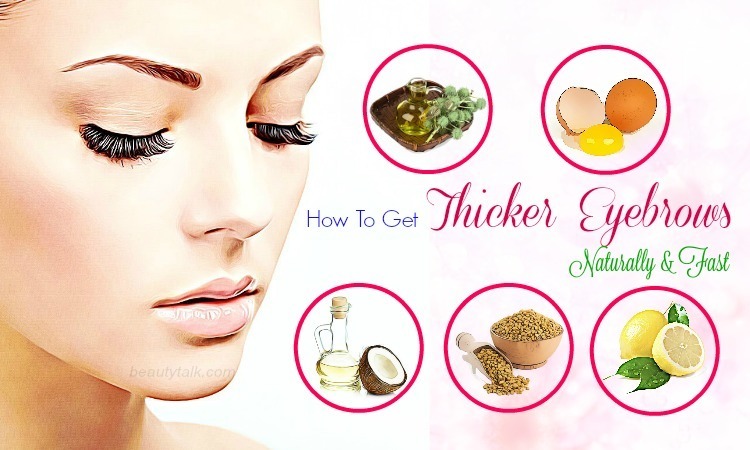 Along with that, this oil also helps to soothe skin irritation & inflammation. Combine olive oil (1/4 cup) and evening primrose oil (1/2 teaspoon) together. Then, apply this combination on your affected areas with a cotton pad. This process should be repeated once a day for 3-4 weeks. Along with these remedies, you need to keep the surrounding area clean and neat to prevent scabies and mites from spreading. 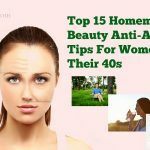 For reading more such articles, please visit our main Skin Care page. 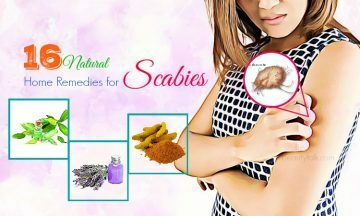 Do you know any other home remedies for scabies? Then share it with us in the comments box below.